The Lions keep rolling on…now 8-6 headed to face dying Cincinnati team next week. They should be 9-6 heading into Week 17 and hosting the Green Bay Packers, who are essentially dead for the playoffs and will probably start Brett Hundley. The Lions have no quality wins for the wild-card tiebreakers so they continue to be a long shot to get in, but getting to 10 wins may make tiebreakers irrelevant. The Lions are still alive. The Bears are still dead. -- I guess you could consider them a solid DST play? Anyone facing the Browns has to be considered. -- Mitch Trubisky is a native Clevelander. The Browns passed him up in the draft in a move that will haunt the organization for a decade+. I wonder if John Fox is going to let Trubisky try to go wild on the Browns here. Trubisky may not meet the Browns that often the next decade. -- Mitch Trubisky (31-46 for 314 yards, 1 TD/3 INT) has been completing a high percentage of his passes the last few weeks and been rocking a 100+ QB rating. He completed 67.4% of his passes here, but it was 73.9% if you count the ones he threw to the Lions. Watching Trubisky in this game was similar to what I’ve seen the last few weeks…very solid QB play, but godawful receivers dropping passes, running the wrong way/not on the same page. It’s sad to behold. Trubisky is not a big turnover guy but he was living with the angels in this game constantly forcing passes into super-tight windows and usually hitting his target but got caught a couple times by the Lions DBs. Trubisky is still fine, a top dynasty prospect for the future…the next Aaron Rodgers, BUT we have to see what head coach they give him in 2018 before we get all-the-way excited. You can’t imagine using Trubisky for a fantasy title game, but next week hosting Cleveland could get interesting. Garoppolo has the Jags next week. Matt Ryan goes to New Orleans. Kirk Cousins has Denver. Trubisky may be a top 10-15 QB projection next week. 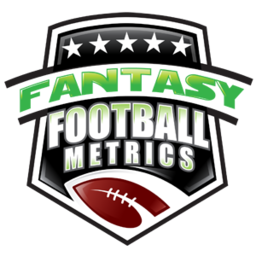 -- Matthew Stafford (25-33 for 237 yards, 2 TDs/0 INT) continues to be steady with the passing TDs…2-3-2-2-1-1-2 (1.86 per game) the past 6 games…1.79 TDs per game on the season. He goes at Cincy next week to face a depleted by injury defense…likely a top 10 projection for him next week during title week. -- The Lions’ RB scene got muddier this week as Tion Green (10-35-0) split carries with Theo Riddick (8-49-0, 3-12-0/3)…and Ameer Abdullah (1-8-0, 3-13-0/4) was popping up here and there for pass targets. The Lions have the worst RB situation in the NFL. It’s a solid run-game matchup next week with an injury-ravaged Bengals run defense…but which one of these guys are you going to count on? I don’t think you can count on any of them…or, maybe, all of them. None of them are any good and they’re randomly splitting touches…any one of them could get hot as needed. ‘Hot’ hasn’t meant much for FF for any of them, really. -- Crap…now we gotta take Kendall Wright (7-81-0/13) seriously. After weeks of garbage, Wright had a 10-catch, 107-yard game Week 14 and followed it up with another stat-filled performance here. My first inclination is to shake my head and walk away…and then I remember that he’s facing Cleveland next week. (1) As I watch Wright, he’s not that great…never has been. We is hard-pressed to get open and drops passes over the middle (because he’s not built for that kind of work). He’s just a guy open in soft coverage moments, of which Chicago tends to get some of especially in the 2nd-half of games. He’s not explosive, nothing magical is going to happen. His ‘long’ for a catch in each game this season: 16-18-0-22-13-18-0-13-12-13-9-14-18-19…just a bunch of short garbage to him. It counts for PPR, but the upside is limited. (2) Cleveland is not the worst pass defense ever and next Sunday is going to be a pretty cold day in Chicago…not favorable for ‘wee’ receivers. Could he put up a 7-80-0/15 line next week? Sure. It’s probably not going to be with me using him. …I’ll probably get beaten by him because my opponent did. -- I mentioned last week that Eric Ebron (5-33-1/7) was heating up…well, he is. He has 4 or more catches in a game in five-straight games now. The yards are ‘meh’ the past five games: 49-34-38-94-33, but the catches are nice and he did finally get a TD this week…just his third TD of the season. You could do worse for a back-end TE1 next week than Ebron versus a Cincy defense down linebackers due to injury. No one has had more big plays or just ‘plays’ called back then Cohen this season. 90-yard kick return called back. He also had another decent pass catch for yardage called back. I think the Bears have a little ‘tell’ as to when Cohen is going to take a handoff. It’s subtle. You have look close but notice…every time Cohen lines up as a tailback, he gets a carry. Shocking he’s stuffed by 10 guys every carry recently.